in central location of Oberwesel on the Rhine River. Air line distance about 630 meters from the castle Schonburg. Non-smoking canopy bed vacation apartment, about 55 sqm. Quiet back house, 1st floor, with view towards the rear courtyard and insulated glass windows. Free access to WLAN in every room of the apartment. 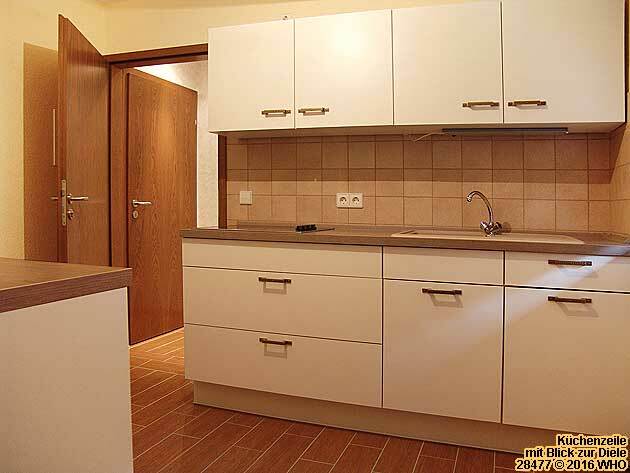 Apartment almost completely newly renovated in the years 2015 and 2016: all rooms have new tiles, new doors, new isolated ceiling, new outlets and switches. 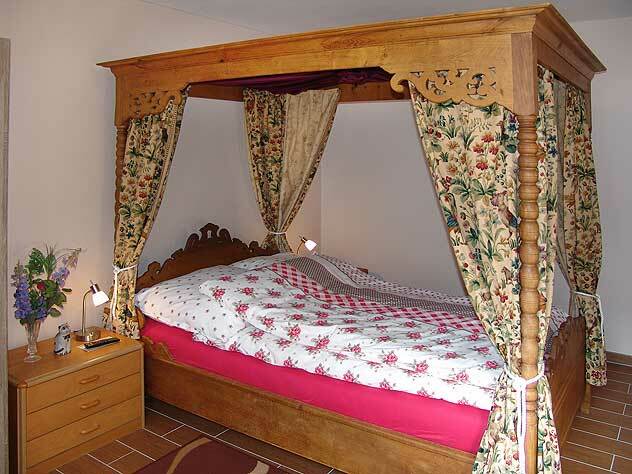 Bedroom with new 32-inch flat screen satellite TV and new closet as well as a historical, romantic canopy bed with a width of 130 cm from the year 1865 from the former Hotel Hunsrucken, which used to be in the same building. The bed has new bed slats (2014) and a new mattress (2015). 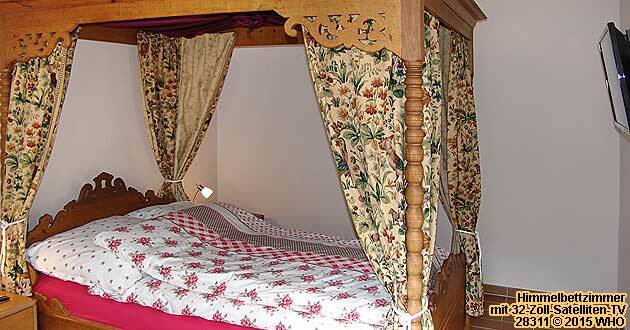 The actor O. W. Fischer slept in this bedroom in the 1950s during his film shots in Oberwesel on the Rhine River. 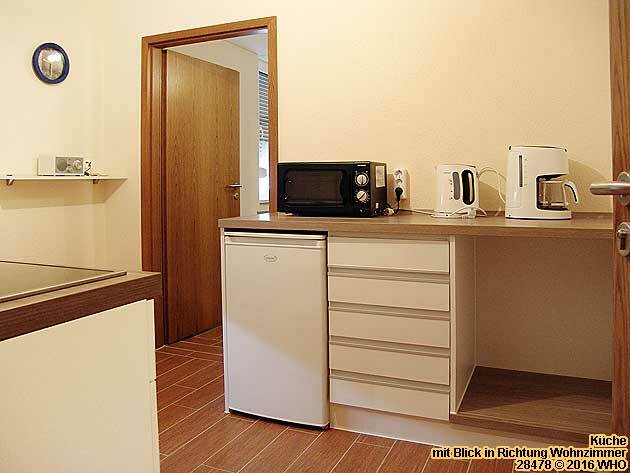 Newly furnished kitchen (2015) with Ceran glass-ceramic cooktop panel, microwave oven, refrigerator, additional small freezer, water boiler, coffee machine, kitchen scales and radio. 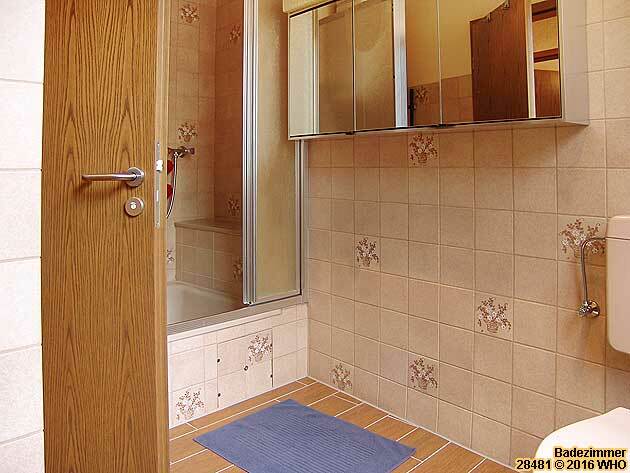 Bathroom with shower and private toilet, hairdryer and radio. Historical wooden stairs in the staircase from 1928, refurnished in 2014. In this non-smoking-apartment it is forbidden to smoke, either at an opened window. If you smoke regardless, there will be charges of cleaning and furthermore possible less of rent will be claimed with legal costs. On the covered balcony and on the terrace may be smoked. Motorcycles can be parked in the house in a locked room, upon request, per motorcycle, per every started 24 hours 2 EUR. Please notify at your request. Bicycles can be parked in the house in a locked room free of charge. Please notify at your request. Parking lot, roofed, about 170 meters from the holiday apartment, upon request, per every started 24 hours 5 EUR. Please notify at your request. The roofed parking lot is 5 meters long, but only 2.36 wide between the two piers. Therefore there is not enough space for a large wide SUV. 2 overnight stays per night 45 EUR. per night 50 EUR. 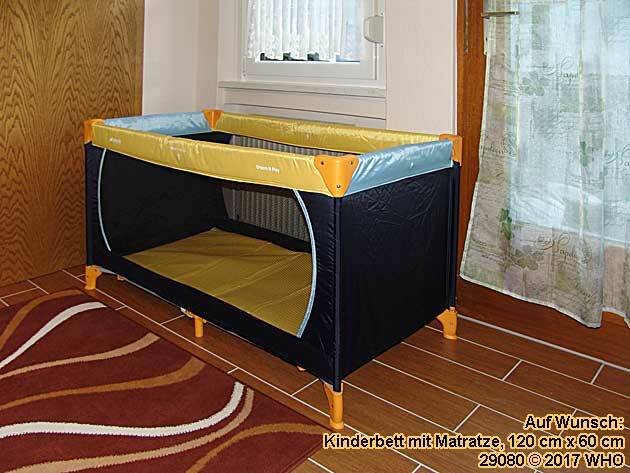 Children up to 35 months are free in a self brought baby bed. 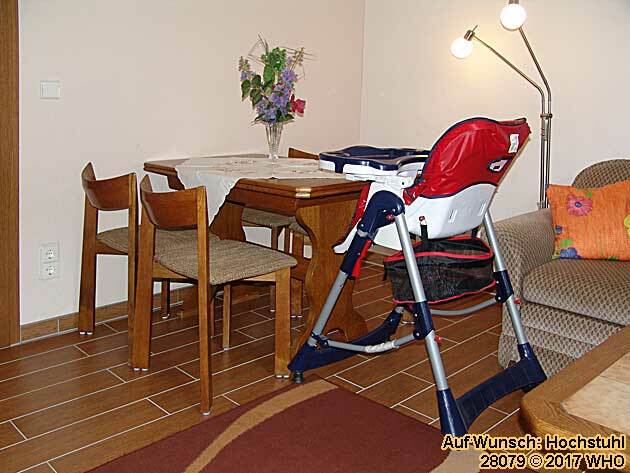 High chair and bed for children (120 cm x 60 cm, with mattress, pillow and duvet cover), for 1 or 2 nights for kids up to 35 month flat fee 10 EUR. More than 3 nights kids up to 35 months are free. Children from 3 years or teenager per person and night 10 EUR. Bath towel and hand towel (please order at your request) per set 5 EUR. 20% partial payment upon booking take a look at the terms of payment. 80% payable upon arrival take a look at the terms of payment. Key deposit take a look at the terms of payment. Check in from 2 pm until 6 pm (if you arrive later please take a call). 20 % partial payment at booking within 8 days after invoicing practice, if you live in the EU by bank transfer to my account or if you not live in the EU ask for the secure credit card online form. You will get a confirmation for the partial payment by email. 80 % final payment cash at arrival. Key deposit 50 EUR payable upon arrival; will be reimbursed upon departure of the broom clean return of the vacation apartment. If you do not pay the 20 % partial payment within 8 days, we will take back the requested date to the free sale. The 20 % partial payment will not be reimbursed by cancellation. For cancellations up to 30 days before arrival another 70 % will be payable immediately. If it is possible to rent the apartment to another guest, the 70 % will be sent back to you less an retransfer fee of 5 EUR, by arrival of the other guests. 1 walking minute to the newspaper merchant with office and writing supplies as well as toys, clothing store, electric shop, hairdresser’s and tavern, 1 café with possibility to order breakfast and 1 hotel restaurant with possibility to order a breakfast buffet. 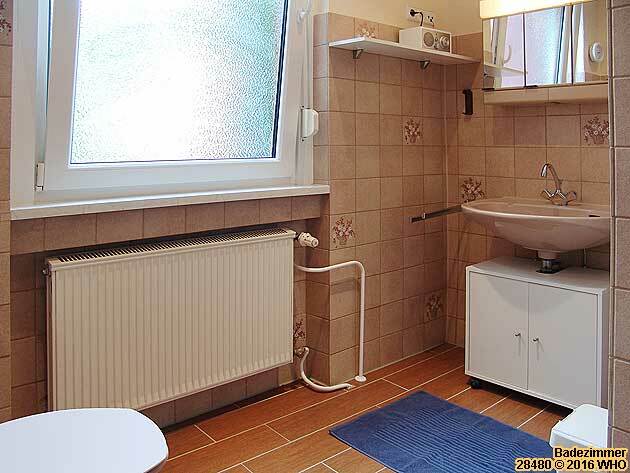 2 walking minutes to the market place with 2 banks and 2 ATM machines, Toto-Lotto (to play German lottery), ice cream parlor, pizzeria, Strausswirtschaft (special wine tavern) and bakery. 3 walking minutes to the grocery store with butcher shop and post office, optometrist, jeweler and flower shop as well as museum of local history in the culture house. In the surrounding area of about 200 meters, there are 3 general doctors, 1 internist, 2 dentists and 2 pharmacies. The hospital is about 420 meters away. 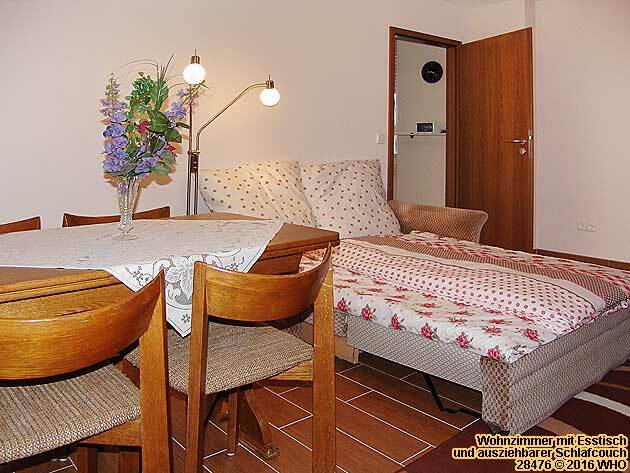 You’ll reach different hiking paths along the "Rhein-Burgen-Wanderweg" ("Rhine castles hiking path") through vineyards with lookout points and views towards the Rhine River valley from the vacation apartment. 2 walking minutes or 250 yards to 4 boat landing stages (German page) at the Rhine River banks of the world heritage valley Middle Rhine River. 5 walking minutes or 400 yards to the train station Oberwesel (German page) on the left side of the Rhine River between Mainz, Bingen, Bacharach, St. Goar, Boppard and Koblenz / Coblence on the Rhine River (see road map with Rhine River course at the right). Time schedule with hourly railroad traffic during the day in both up- and downstream directions. If you arrive by train, please call 30 minutes before arrival in Oberwesel, so that I can pick you up at the train station Oberwesel by car. About 250 meters from the federal highway B 9 at the Rhine River banks. About 11 km from the freeway (Autobahn A 61), exit Laudert. No matter if per car, train or boat – the connection to the transport system is ideal. This insiders' tip is well worth a visit! 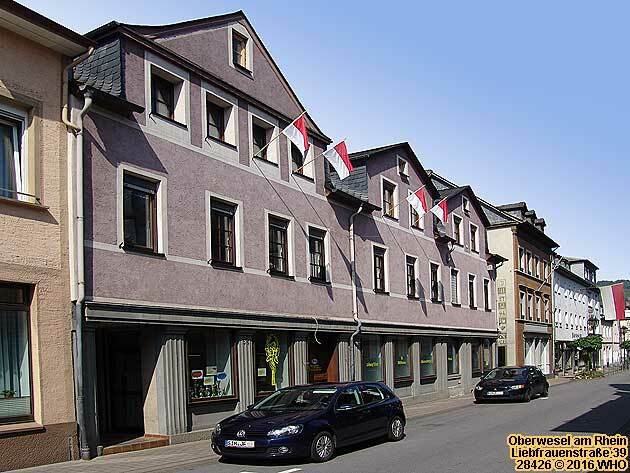 One thing definitely not to be missed in Oberwesel on the Rhine is a wonderful antique shop, which deals in original old steel engravings, copper engravings, wood carvings and etchings of the Lorelei rock and all the castles and towns along the Rhine and in the Rhine River valley. The shop is in the Holzgasse (a small side street full of old half-timbered houses) right in the middle of town, on the corner of Liebfrauenstr. 41. 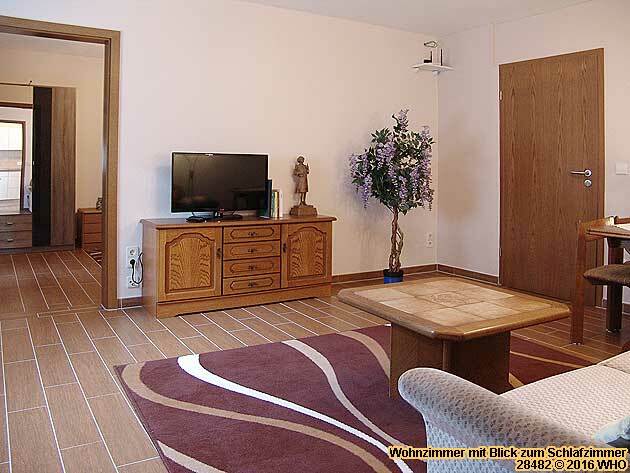 Phone +49 (0)6744 7144 900 daily from 9:00 a.m. to 12:00 p.m. and from 1:00 p.m. to 5:00 p.m. Cell phone +49 (0)179 250 6757 daily from 9:00 a.m. to 12:00 p.m. and from 1:00 p.m. to 11:00 p.m. (lunch break from 12:00 p.m. to 1:00 p.m.).